Comment: Need to replace existing wood fencing at front of subdivision with brick wall/marquee. Comment: I have a slope in my back yard that I want to get rid of. The retainer wall will be used to add character to the home and get rid of the drastic slope in the back. I have a design that I want to use that contains steps. There is also a detached garage that the retainer wall will help to tie into the the back porch. Comment: Brick wall around property is leaning in several areas. In other areas, the wall is cracked and yet in other areas, the wall has fallen. West Columbia Brick & Stone Masonry Contractors are rated 3.72 out of 5 based on 8 reviews of 2 pros. 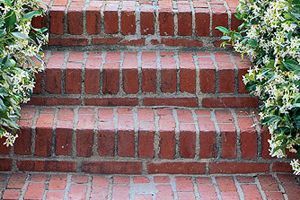 Not Looking for Brick & Stone Contractors in West Columbia, SC?